This is usually the time of the year when I get to my laziest best. The cold weather and the approaching holiday season brings out the sloth in me and I have a huge backlog of articles I need to read as well as tend to. But somehow I have pulled up my socks and managed to come up with this article on how to add a target line to a horizontal bar chart in SSRS. 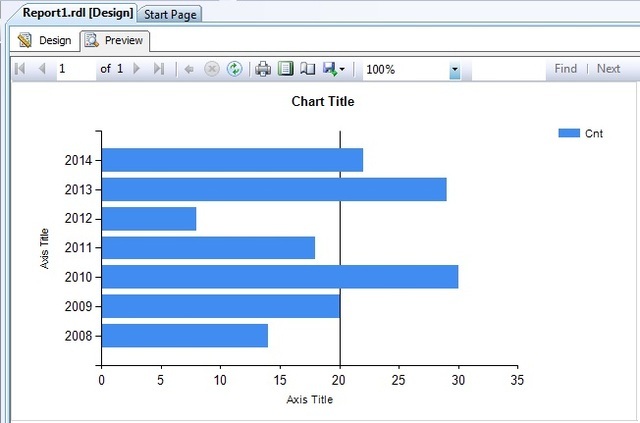 1) Make a simple bar chart with a category and measure. In this example, I have used Year as the category field and Cnt as the measure value. 2) Click on the X axis to select it, then right click and unselect the option ‘Show Major Gridlines’. This will remove the gridlines on the chart. 4) Click on the Add button in the ChartStripLine Collection Editor. 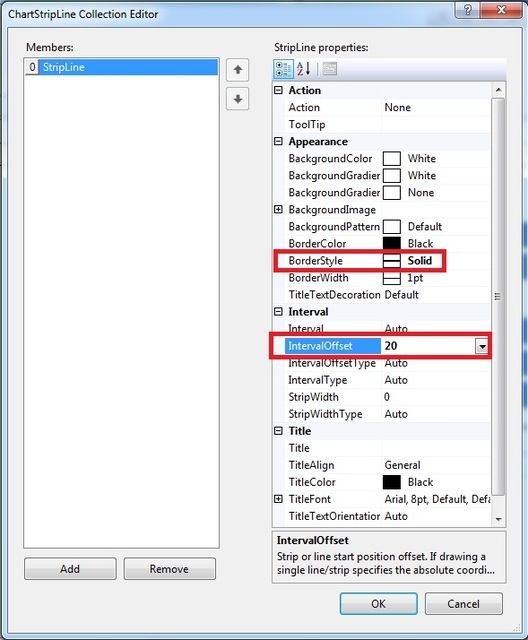 The properties should appear as shown below now. 6) Select OK and click on the preview button. 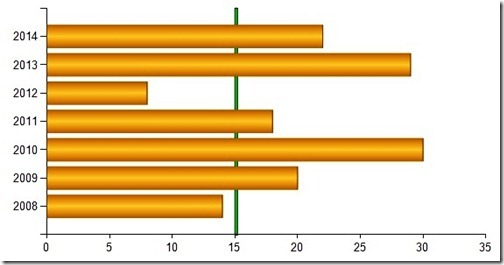 You should be able to see the target line in the bar chart as shown below. 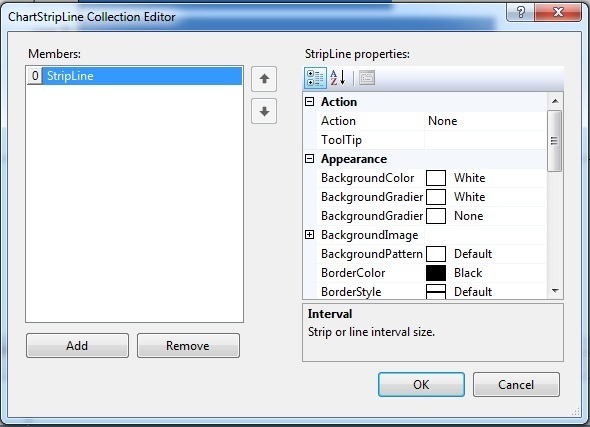 7) You can increase the width of the target line by changing the BackgroundColor property to the BorderColor (in this case Black) and by increasing the StripWidth property in the ChartStripLine Collection Editor shown in step 5. A disadvantage of this method is that the target line appears behind the bars. Apart from this, it works pretty well and you have a clever workaround the next time someone insists on having a target line on their bar charts. How will this work when the chart is changing dynamically with parameters? the line will not be in the center anymore if that is what I want. 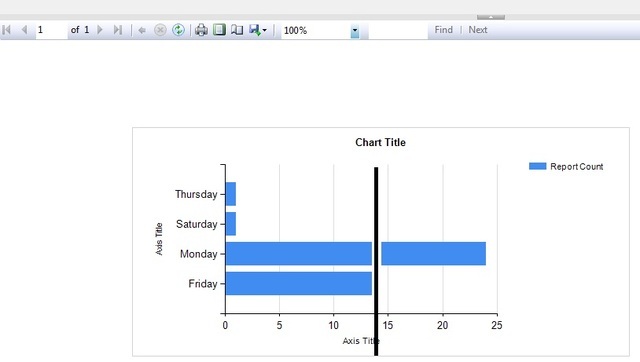 if anybody has figured out how to bring the strip lines to the front in a bar chart then please let me know. Just what I need thanks a lot! Me salvaste la vida!!! thanks a lot!